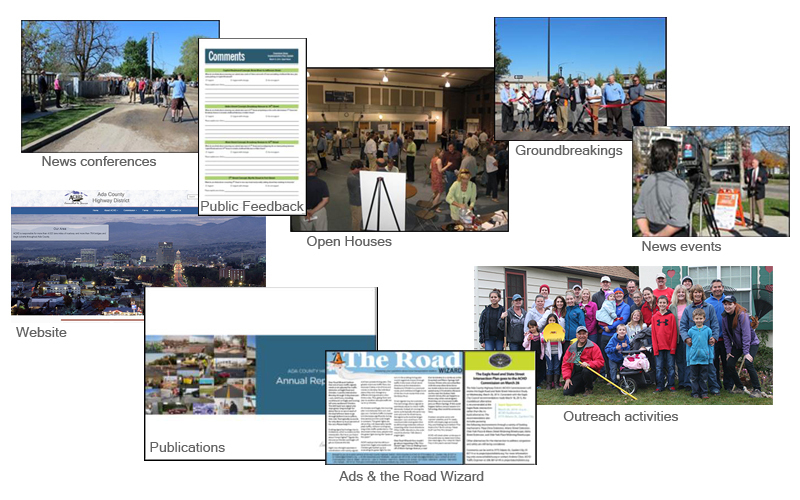 ACHD strives to be informative and responsive in meeting the local roadway needs of Ada County's residents. We believe a well-informed public is key to having a transportation system that best serves the needs of the county's residents. When considering a project, study or initiative, the District reaches out to the public at the earliest stages, when input can best be incorporated. Working out any kinks early in the process avoids costly redesigns and delays going into construction or implementation. It's simply good business. Let's face it: Nobody likes roadwork until it's done. While improvements ultimately make it easier for drivers, pedestrians and cyclists to get to where they need to go, ACHD understands work can pose short-term problems, particularly for businesses. ACHD has a Business and Community Relations Coordinator who works with businesses and neighborhoods to provide information and to ease the impact of ACHD's work.